embossed and indented flat iron materials by cold rolling. can operate stably and reliably. guarantee the rolled products having distinct and aesthetic veining. 6.It has large working range with the working dimension up to 60mmx60mm tube materials. 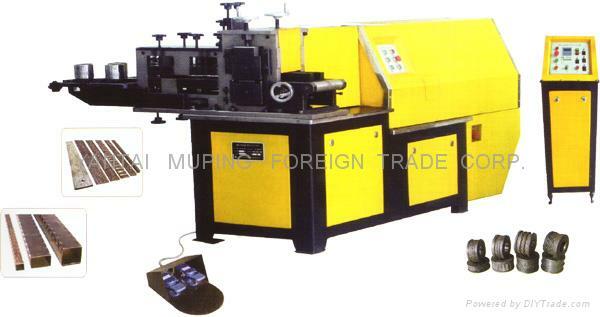 7.Having high production efficiency, the machine can roll 5 Tons of 8mmx50mm flat iron. kinds of dies for customer selection, and we can also assist the clients in die designing and producing.